Life is so dynamic that changes occur every day, and their consequences are reflected in every sphere of our lives. One of the best events in a person's life is marriage. It also carries countless changes, one of which is the change of surname for women. What do I do, however, if I am an owner, a partner or manager of a firm? Any change in partner data is entered in the Commercial Register. The same applies to changing the name of a partner in marriage or divorce. Registering is not complicated. First of all, it is necessary to provide a document certifying the change of names. At marriage, this is a marriage certificate and, in divorce, a court decision. Only an identity document is not enough, although it is obvious that it is the same partner whose names are changed. A solution of the sole proprietor of the company (for EOOD) or of the partners (in the case of OOD) in which the change is found must also be presented. The company's founding act is also changing, so an updated version is required. Lastly, the entry shall be accompanied by the legally required declaration of authenticity of the requested data. You can write the change yourself, and you can trust our team as well. What is the procedure for changing a Commercial Register at marriage or a divorce? Documents are filed in the Commercial Register on-site or online. A state fee is payable, the amount of which depends on the way in which documents are submitted (on-site or online). It is important to keep in mind that online submission of documents is possible only with an electronic signature. If the documents are submitted by a person other than the manager, a power of attorney must also be prepared. If the power of attorney is not for a lawyer, it must be certified by a notary. Documents are processed by the register and recorded within 5 working days. If you decide to work with us, we will prepare the necessary documents. We will also submit them to the Commercial Register. You will not have to pay a state fee as we include it in our fee and pay it for you. Should I visit a notary? Upon registration of a change in the Commercial Register upon marriage or divorce, no visit to a notary is required. Documents are still signed but not certified by a notary. 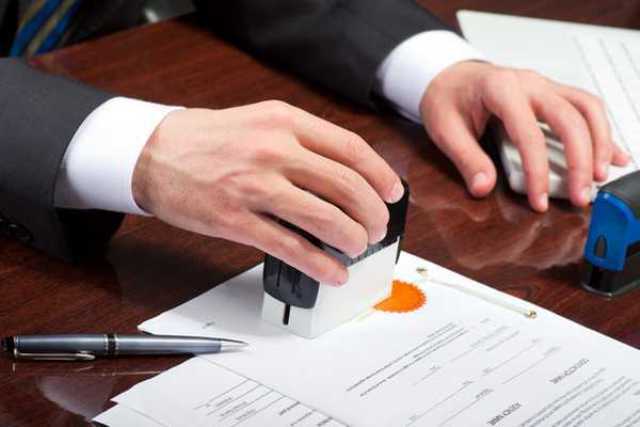 A notary sep only if the papers are signed by a person with a power of attorney who is not a lawyer. If you work with us, you only print and sign the documents we will provide you then you just have to send them scanned by email. We are dealing with everything else. Do I have to pay extra charges? In order for the documents to be entered in the Commercial Register, a fee is payable. Changing the name in marriage or divorce is treated as a simple change in the register. If you submit documents online, the fee is twice lower (only 15 BGN for OOD or EOOD compared to 30 BGN for placement).